The technical problem that we are facing originates from the multidimensionality of the poverty concept, which is by now universally accepted. 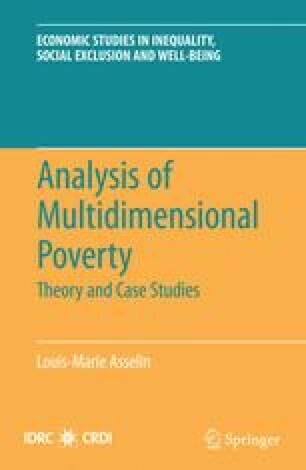 The form given to this multidimensionality depends on the definition given to poverty, for which there is not a unique formulation; however, there is usually a significant overlap among the various meanings found here and there. We would like to share with the readers the following definition, which expresses well our own views on poverty.